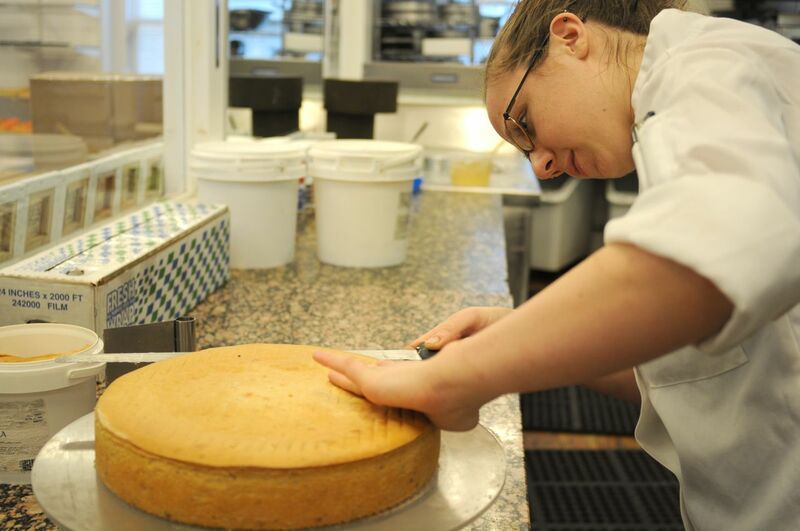 Our chef Robin cutting the tops off of almond cake. Where do you get those acrylic rounds from? I bought acrylic and had it cut in different sizes but my home improvement center could not cut rounds.